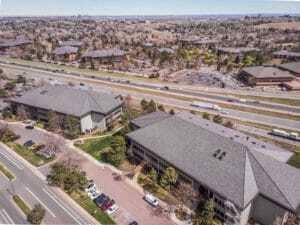 Featuring 22 office buildings, fitness, conference and training centers, plus a hotel, the Denver West Office Park is an impressive complex. So when it came time to re-roof 19 of the buildings with Bellaforté Shake composite roofing tiles, it took two talented roofing crews to handle the project. The true challenges for Denver West started on May 8, 2017. That’s when a massive hailstorm caused extensive damage to the existing real cedar roofs on all the structures. The National Weather Service reported hail that day ranging in sizes from golf balls to large eggs. One of the largest pieces of hail was recorded at 2.75 inches in diameter. With the idea that the complex needed more durable roofing in case of future hail storms, the search was on. The result was the selection of resilient composite shake tiles from DaVinci Roofscapes. The Bellaforté Shake tiles chosen for the complex are Class 4 impact resistant and Class A fire rated. The tiles also resist high winds (up to 110 mph), curling, cracking, insects and algae. Once the roofing was selected, the clock was ticking. The property owners started the project in October 2017 and set a deadline of April 2018 for completion of the roofing. Arapahoe Roofing and Gen 3 Roofing were brought in to tackle the massive composite roofing project … which went right through the bitterly cold winter months in Denver. “For our company, this project was very personal. 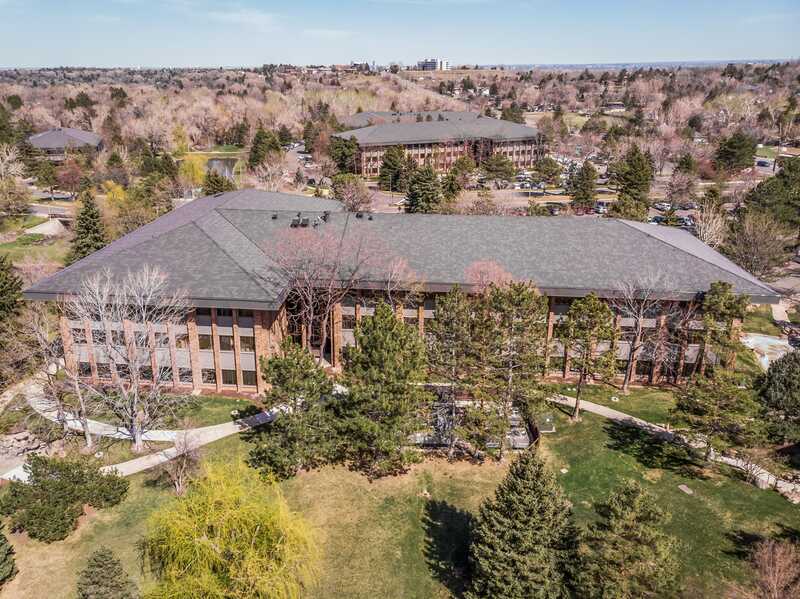 We’re a third-generation family of roofers and our family has been roofing the Denver West office complex since the 1970s when they were first built. Winter weather was top-of-mind for the installers of the project. The first freeze in the Denver area arrived on October 10, 2017, making for a cold installation. Fortunately DaVinci products are made of an engineered resin system designed so that tiles remain flexible for installation in colder weather. While many manufacturers won’t allow their roofing materials to be installed when outdoor temperatures fall below 40 degrees F, DaVinci composite tiles can be installed in temperatures as cold as 20 degrees F.
When complete (on time) the Denver West project had used 5,600 squares of DaVinci composite shake tiles, 3,900 of them installed by Arapahoe Roofing. “This was an ‘all hands on deck’ type of project,” says Werpy. 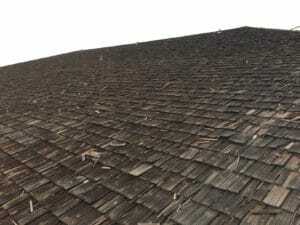 “Reroofing 14 structures in just a few months is intense.